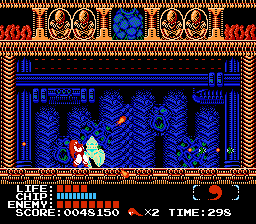 NES Kabuki Quantum Fighter (USA) in 09:14.19 by nitsuja & Alyosha. Kabuki: Quantum Fighter is a well-made platformer with a lot of climbing and jumping acrobatics as well as straightforward action. And a main character that isn't afraid to use his hair as a weapon. This new run improves a movie previously thought unimprovable with a better energy burnout strategy and a faster final boss fight.